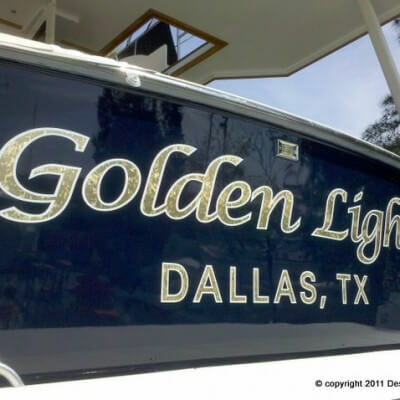 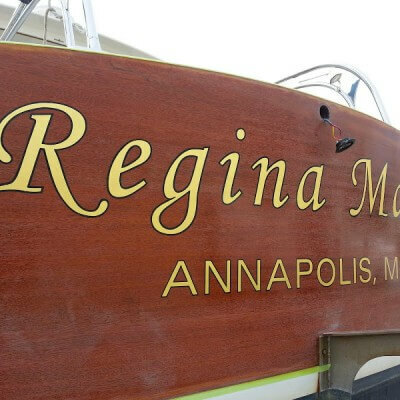 A custom gold leaf boat name installed by Designs & Signs at Bert Jabin’s Yacht Yard in Annapolis, Maryland. 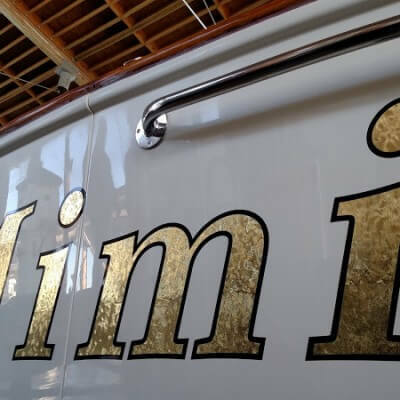 Florentine swirl 23 karat gold leaf film was used on this boat. 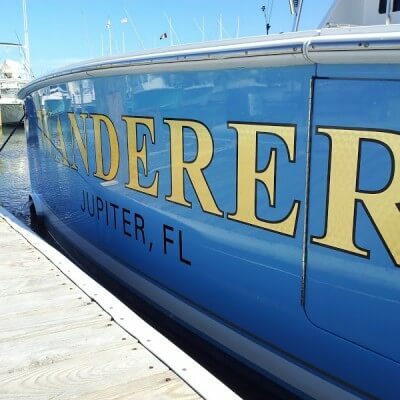 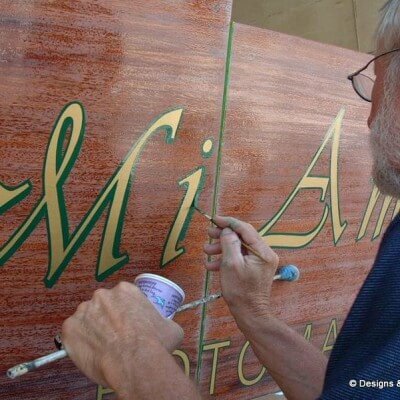 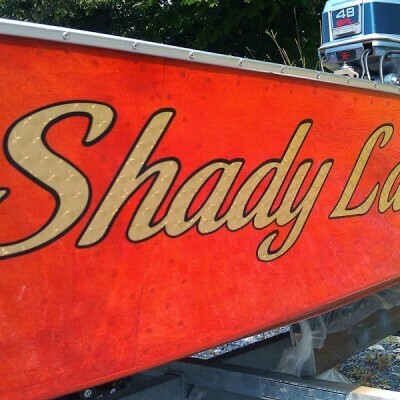 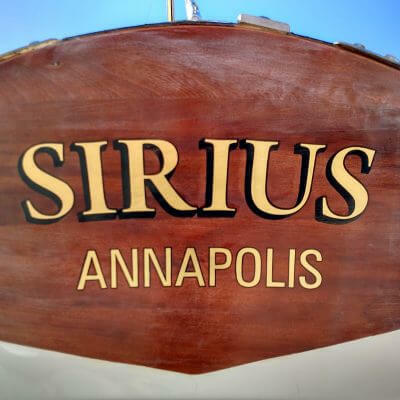 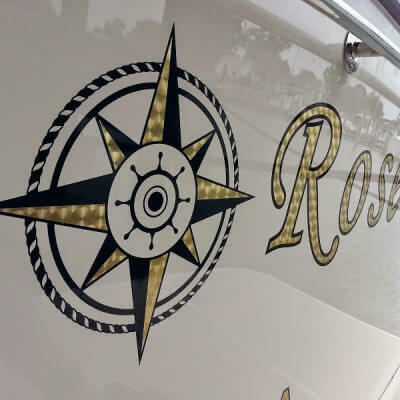 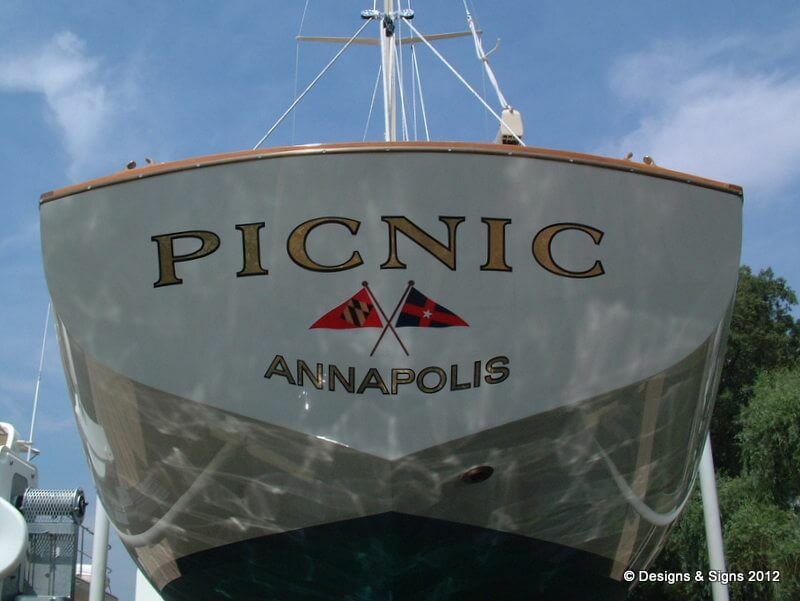 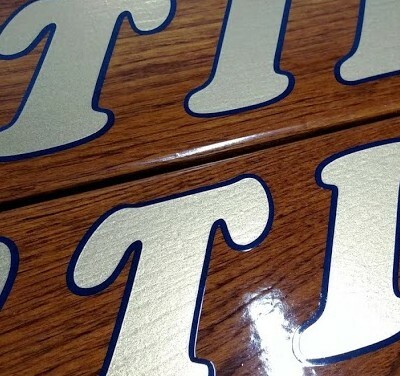 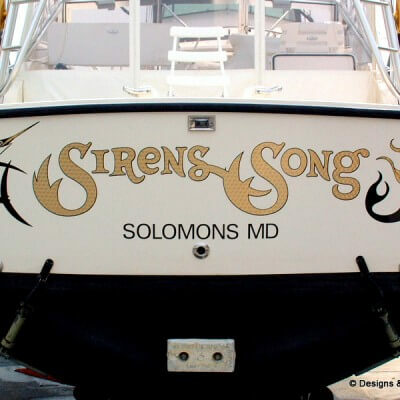 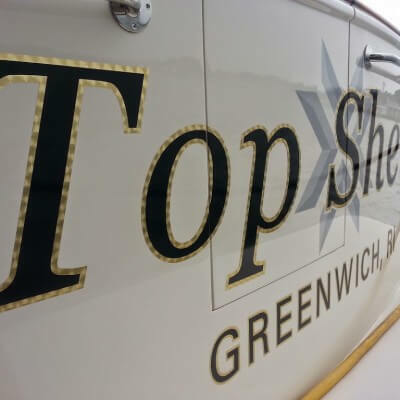 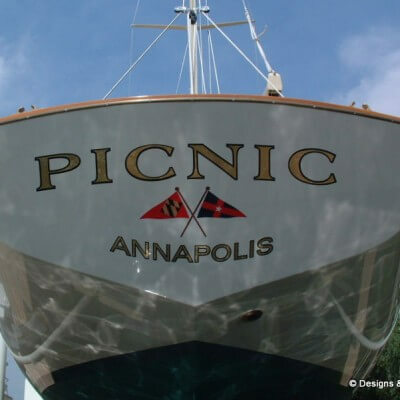 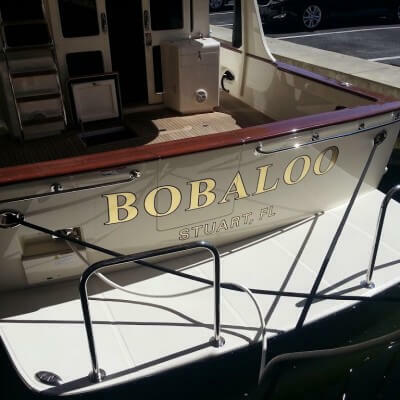 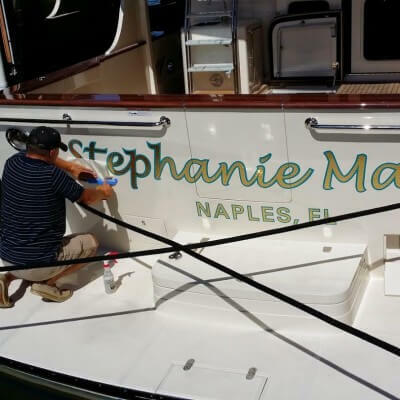 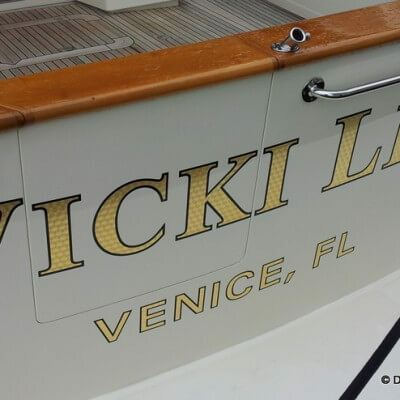 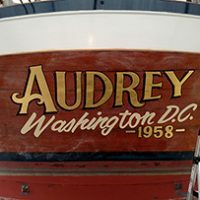 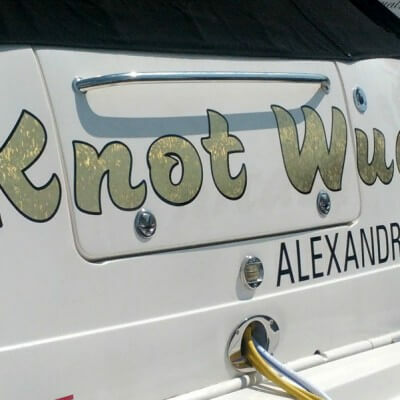 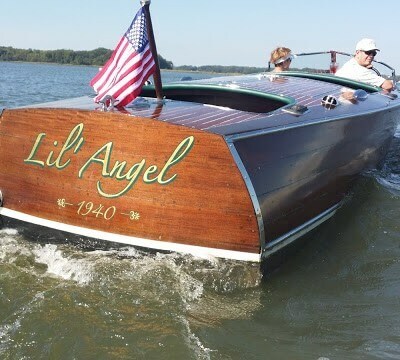 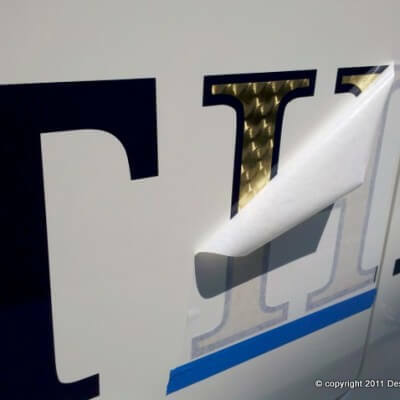 Designs & Signs has installed hundreds of high quality custom vinyl boat names and gold leaf boat names in Annapolis and Edgewater. 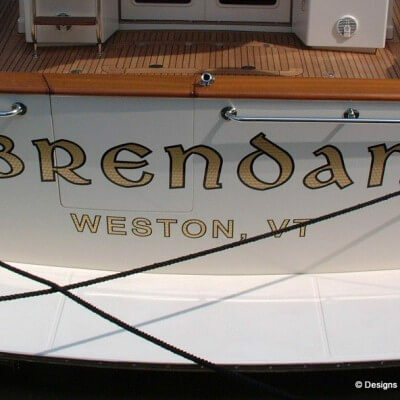 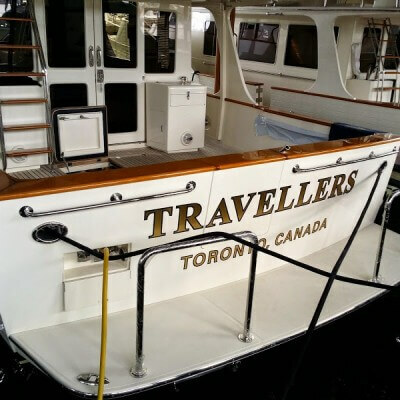 Please take a moment to review our site, we have posted many photos of our hand-made gold leaf boat names. 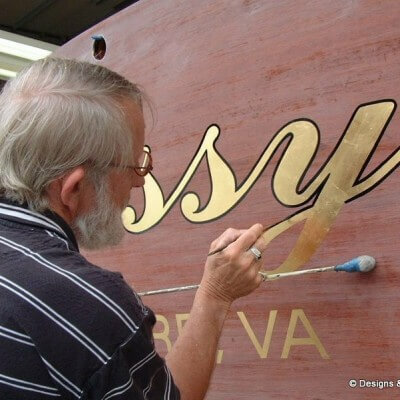 We also make carved teak quarterboards with gold leaf, and personalized life rings with gold leaf.